Lava flows from Mauna Loa volcano can travel the long distances from source vents to populated areas of east Hawaii only if heat-insulating supply conduits (lava channels and/or lava tubes) are constructed and maintained, so as to channelize the flow and prevent heat loss during transport. Lava is commonly directed into such conduits by horseshoe-or lyre-shaped spatter cones-loose accumulations of partially welded scoria formed around principal vents during periods of high fountaining. These conduit systems commonly develop fragile areas amenable to artificial disruption by explosives during typical eruptions. If these conduits can be broken or blocked, lava supply to the threatening flow fronts will be cut off or reduced. Explosives were first suggested as a means to divert lava flows threatening Hilo, Hawaii during the eruption of 1881. They were first used in 1935, without significant success, when the Army Air Force bombed an active pahoehoe channel and tube system on Mauna Loa’s north flank. Channel walls of a Mauna Loa flow were also bombed in 1942, but again there were no significant effects. The locations of the 1935 and 1942 bomb impact areas were determined and are shown for the first time, and the bombing effects are documented. Three days after the 1942 bombing the spatter cone surrounding the principal vent partially collapsed by natural processes, and caused the main flow advancing on Hilo to cease movement. This suggested that spatter cones might be a suitable target for future lava diversion attempts. Because ordnance, tactics, and aircraft delivery systems have changed dramatically since 1942, the U.S. Air Force conducted extensive testing of large aerial bombs (to 900 kg) on prehistoric Mauna Loa lavas in 1975 and 1976, to evaluate applicability of the new systems to lava diversion. Thirty-six bombs were dropped on lava tubes, channels, and a spatter cone in the tests, and it was verified that spatter cones are especially fragile. Bomb crater size (to 30 m diameter) was found to be inversely related to target rock density, with the largest craters produced in the least dense, weakest rock. Bomb fuze time delays of 0.05 sec caused maximum disruption effects for the high impact velocities employed (250 to 275 m/sec). Modern aerial bombing has a substantial probability of success for diversion of lava from most expected types of eruptions on Mauna Loa’s Northeast Rift Zone, if Hilo is threatened and if Air Force assistance is requested. 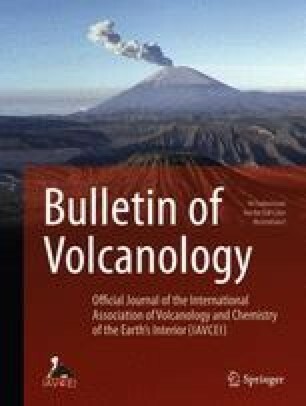 The techniques discussed in this paper may be applicable to other areas of the world threatened by fluid lava flows in the future.